On the 21st of March it was reported in the Taipei Times that shares in the Taiwan’s largest bicycle manufacturers had by far outperformed the broader market. In the 12 months prior the benchmark TAIEX index had declined 2.19 percent, whereas shares in Giant Manufacturing Co had risen 17.99%. Merida Industry Co, the 2nd largest bicycle manufacturer in the country rose by a staggering 77.78 percent. This is pretty interesting stuff, and one would assume this means that the bicycle industry is healthy. Looking closely at these two companies one can see that their target is higher priced bicycles, and indeed both companies have seen a rise in the average price of bikes sold. Also not only is demand for these bikes coming from the EU and US but also China. Merida is in the process of establishing a new factory in China which will start with a production capacity of 200000 units per year, and eventually be grown to 2 million. Of which, 60 percent of the production is planned for China. 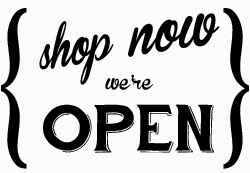 It's great to see the growth of these two companies, but I also lament that their growth may also have been at the expense of smaller bicycle companies not to mention many retail shops who have had to compete against "big brand" stores. Over at Pozible, Bojun Bjorkman-Chiswell and Sarah Cowhey, have posted a crowd sourcing project for a documentary on the worlds 1 billion bicycles, with I guess the ultimate aim of increasing the use of bicycles all over the world. One Billion Bicycles from The Bike In My Life on Vimeo. 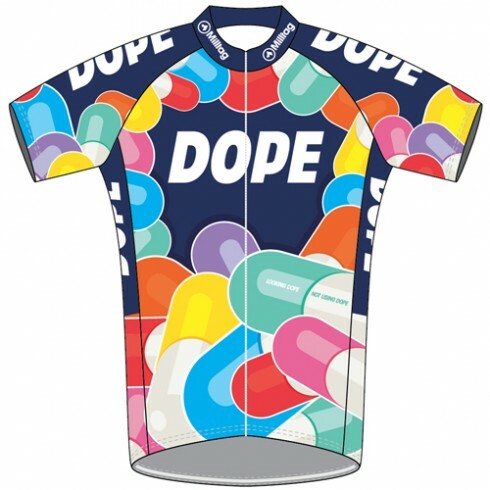 If you are a follower of Professional road racing then there is perhaps one jersey that is more famous that those single colour yellow, pink, green and red jerseys. 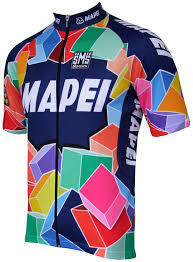 The Mapei jersey. A staple of the peleton for many years may not be aesthetically pleasing in many eyes, but longevity and purpose has definitely made it a classic. Today I see that Miltag has created there own version, which in many ways says it all, about a classic era of cycling. Here is an article from the SMH by Leesha McKenny from back in February. BIKE lanes should be rolled out on ''as many streets as possible'' for a healthier and less congested Sydney, according to a leading health and planning expert. Karen Lee, who addressed a forum of NSW government planners on Thursday, drew on her experiences in New York where commuter cycling had increased 289 per cent thanks to policies encouraging bike use. The environments that we create ... is actually what determines the types of epidemics that we're going to see. Dr Lee, head of the New York City's Built Environment and Healthy Housing Program, has been working on urban planning measures to address diseases such as heart disease and diabetes, as well as obesity. ''The environments that we create through the work that we do in our societies is actually what determines the types of epidemics that we're going to see,'' she said. Now just more than half NSW's population is active for at least 30 minutes a day, as recommended. But changing the way people moved around cities was found to improve activity levels by as much as 161 per cent, Dr Lee said. I find the last statistic quoted quite amazing, with regards to stair climbing. I can't only imagine what the affect of everybody riding a bike or walking for 30 minutes a day would be. Especially when it is reported by the World Health Organisation that 67% of Australian's are overweight. Fully updated and including 11 newcomers, Rowan Lamont, assisted by the officers of the Brisbane City bike police, tested a selection of 27 locks to see how well they protect your precious property. For this year’s instalment of our popular bike lock test, Ride On collected a range of the most interesting new and current locks to determine the best and best value at high, medium and low security levels. Thinking like thieves, we tested the locks to breaking point using techniques that were quick, simple and least likely to draw attention to ourselves. If a lock showed resistance, we increased the severity of the tools and techniques we used. 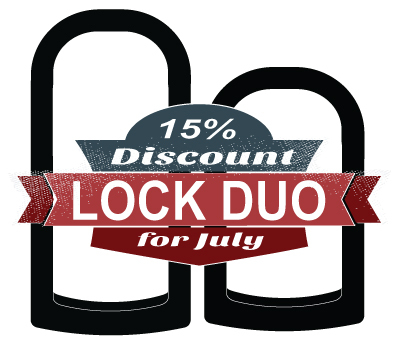 D-locks continue to offer the highest security. Even the cheapest require an angle grinder to break – a hacksaw can’t get through hardened steel. 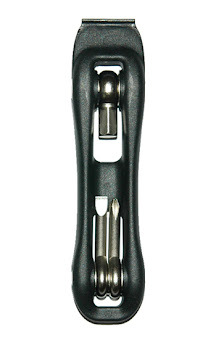 A surprise in this test were the hardened steel chains combined with resilient locks. These proved very awkward to break into, providing a great deterrent along with the convenience of being easier to stow than many D-locks. The lowest level of deterrent came from light and small cables, which require very little ingenuity to break. 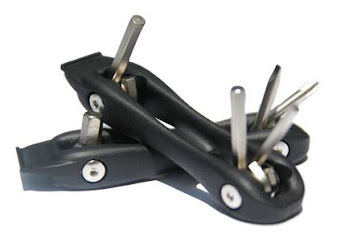 They can be used to add an additional deterrent along with a bigger lock, or if you just need something to prevent someone walking off with your bicycle while you pop into a shop, but not much more. The main thing to consider when choosing a lock is the security it offers. If you leave your bike in high-risk situations then you will need a lock that offers high security. 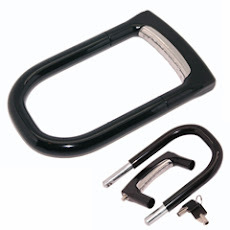 A medium security lock would be sufficient if you never leave your bike in a high-risk situation, with the advantage that a medium security lock is generally lighter and less expensive. Another thing to consider is the size of the lock. You might prefer to carry a more compact, smaller lock or you might require a longer, flexible lock such as a chain or a cable to effectively secure your particular bike, such as a cargo bike or trailer. Supplementary cables, such as the Kryptonite Kryptoflex reviewed here, are very useful for locking the wheels as well as the frame or for securing unconventional bikes, trailers, tag-alongs and the like. The locks are rated on a scale that takes into account function, materials and components, construction, appearance and value for money – within a broader designation of the security level offered. For all locks, it’s important to consider the intended usage and level of security required. Sergeant Michael Schodel knows from personal experience how attached you can get to a bicycle. “I can remember the smell of the bike shop I bought my very first bike from as a kid,” he told Ride On. As a bike mounted officer from Brisbane City Police Station he’s in his dream job and he’s learned a lot about how bikes get stolen. Select a well-lit public place where there are lots of people around. It is even better if there is CCTV coverage. 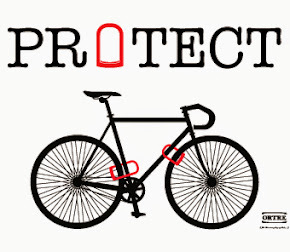 Lock your bicycle to as strong and solid an object as you can find as many thefts don’t even have the lock broken. When bicycles are locked against a wall or to flimsy railings they are an easy target for an opportunist thief. The Brisbane police donate many bicycles to community organisations each year that once belonged to a bicycle rider but can’t be returned. A simple solution is to record the serial number of the frame, which is usually underneath the bottom bracket. If you lose your bike, report it and quote its serial number. Thefts can also be deterred by taking some simple steps to add complexity to the security you use, creating extra inconvenience for a would-be thief. Take advantage of bike cages, use a couple of locks – one for your frame and another for the wheels – and lock the front wheel to the frame. If you regularly leave your bike in the same place each day, you expose it to a possible planned theft. Instead, park in a few different locations to help reduce this risk. The hardened steel and robust lock mechanisms of these locks means they offer high security, yielding only to an angle grinder. The Abus Bordo 6000 folding lock is included here because it gives such a high degree of protection that it offers an alternative to a D-lock. Chains also offer high security because they are very awkward to attack and require an angle grinder to be broken. I saw this guy the other day track-standing a Phoenix style bike. He was doing it with ease, and he had started a long time before I started filming. Sorry about the quality of the video. I hope I get a chance to see him in action again.